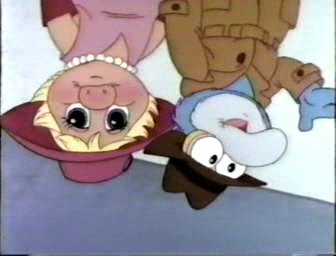 Jim Henson's Muppet Babies (commonly shortened to Muppet Babies) is an American animated television series that aired from 1984 to 1991 on CBS. 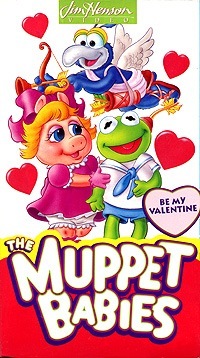 The show portrays childhood versions of the Muppets living together in a large nursery in the care of a human woman called Nanny. 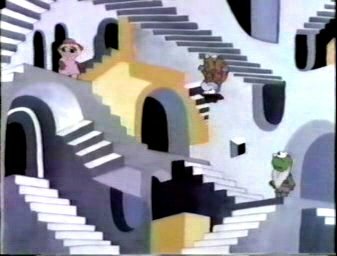 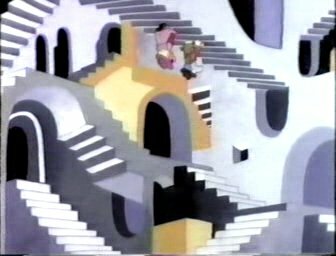 In episode 9 of the 6th season Gonzo lead Piggy to the room, which is strongly inspired by Escher's artwork Relativity. 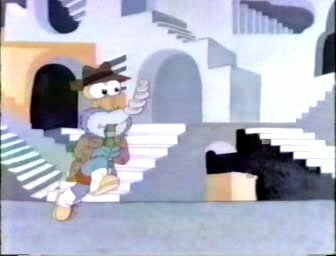 Below, you can see several screenshots from this episode.